Rising sea levels and isolated floods will be an increasing challenge for waterfront property owners, according to experts I interviewed for a story published this week in the Encyclopedia of Puget Sound. Changing conditions call for property owners to consider their options with regard to their shoreline — not just for today but for the long run. What I learned while researching this story is that every waterfront site will respond differently as the highest tides go higher and higher. Before I started my inquiry, I thought the obvious answer would be for people to build taller and stronger bulkheads — despite well-known environmental damage. And that may be the only answer for some. But for others, that approach could be a waste of money, as bigger walls degrade the owners’ enjoyment of the beach as well disrupting natural systems. Alternatives include moving or raising a house or even replacing a bulkhead with “soft shore” protections. Sea levels in Puget Sound are rising slowly at this time, with the actual rate dependent on location. We live in a tectonically active area, with major movements along continental plates. As a result, the ground is sinking in most areas around Puget Sound, adding to the relative rise in sea level. In Seattle, the sea level has risen about 9 inches since 1900 and is expected to rise an additional 4 to 56 inches (4.75 feet) by 2100. The uncertainty reflected in that range relates to whether greenhouse gases continue to increase, thus accelerating the rate of melting of land-based ice in the polar regions. John Vechey of Orcas Island, who I featured in my story, took sea level into account when deciding whether to remove his bulkhead while seeking to improve the beach for family activities and for the environment. His solution was to move his house and give the beach more room to function naturally. 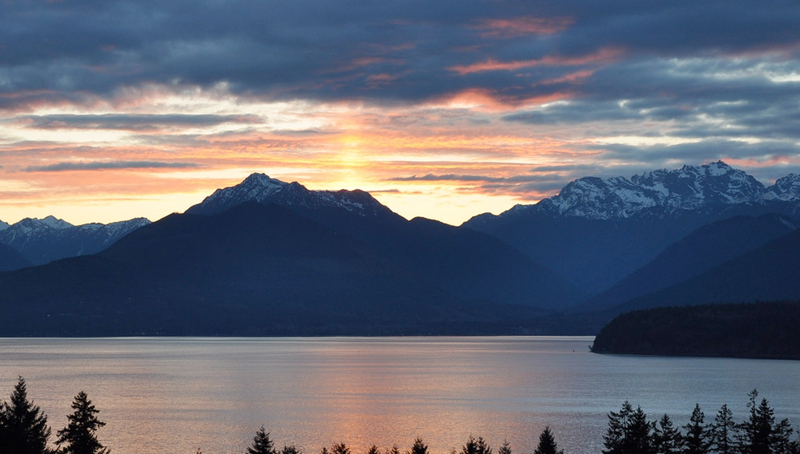 Moving a house will not be the answer for everyone, but I can safely say that everyone should consider their long-term picture before making any investments that will last a lifetime — and that includes changes to the shoreline. At this time, future sea levels do not enter into regulatory considerations about where a person can build a house. One problem is the uncertainty surrounding the amount that sea levels will actually rise. But some environmental advocates say it is time to require additional setbacks, not only to protect the environment as tides push back the natural beach but also to protect homeowners from future losses. For some people, sea-level rise is a distant worry, but for others the threat is just around the corner. I was reading this morning about how high tides are already affecting Naval Station Norfolk. Check out “Rising Seas Are Flooding Virginia’s Naval Base, and There’s No Plan to Fix It” by Nicholas Kusnetz of Inside Climate News. A new Government Accountability Office report, released yesterday, cites estimates of future property damage totaling between $4 billion and $6 billion per year in the U.S. as a result of sea-level rise and more frequent and intense storms. The report outlines the need for a coordinated federal response. 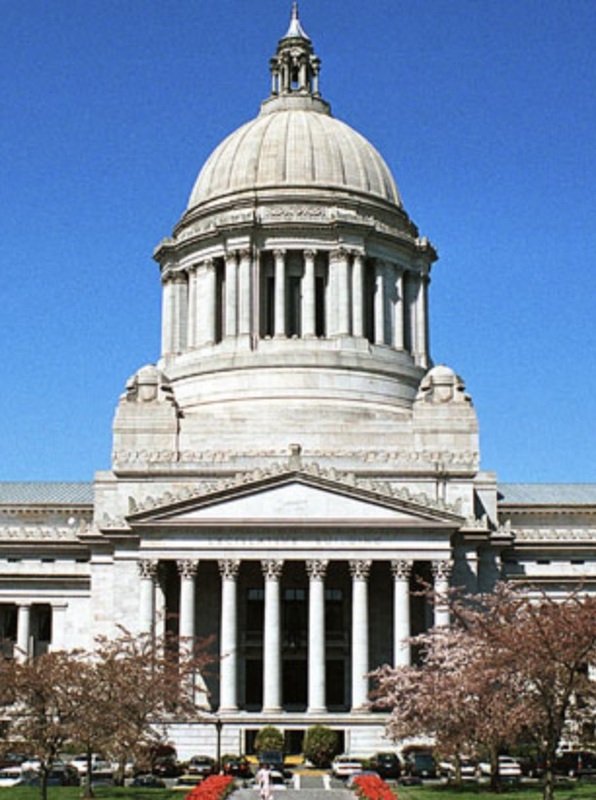 Sen. Maria Cantwell discusses the new GAO report and calls for better planning in the video below. If you are planning to gather some shellfish to eat over Labor Day weekend — or anytime for that matter — state health officials urge you to follow the “three Cs” of shellfish — check, chill and cook. 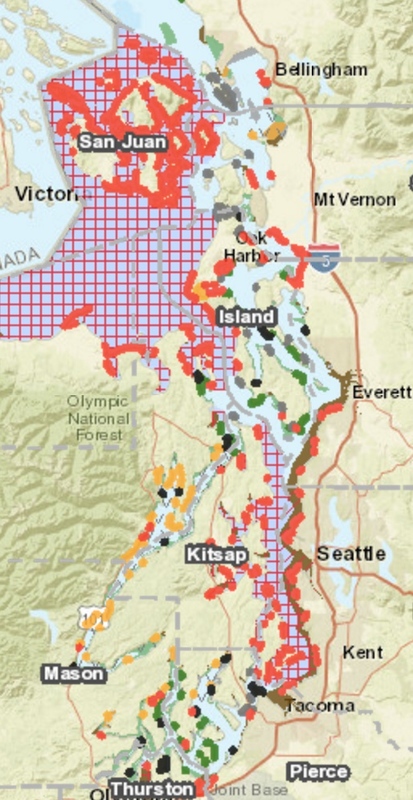 The state’s Shellfish Safety Map shows areas open and closed to harvesting. 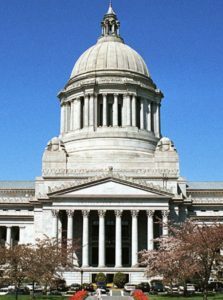 At least 10 cases of an intestinal illness called vibriosis have been reported this year to the Washington State Department of Health, all resulting from people picking oysters themselves and eating them raw or undercooked. The disease is caused by a bacteria, Vibrio parahaemolyticus, an organism that occurs naturally and thrives in warm temperatures. The combination of warm weather, lack of rain and low tides all contribute to the growth of bacteria in oysters growing on the beach. CHECK: Before heading to the beach, make sure that shellfish in the area are safe to eat. 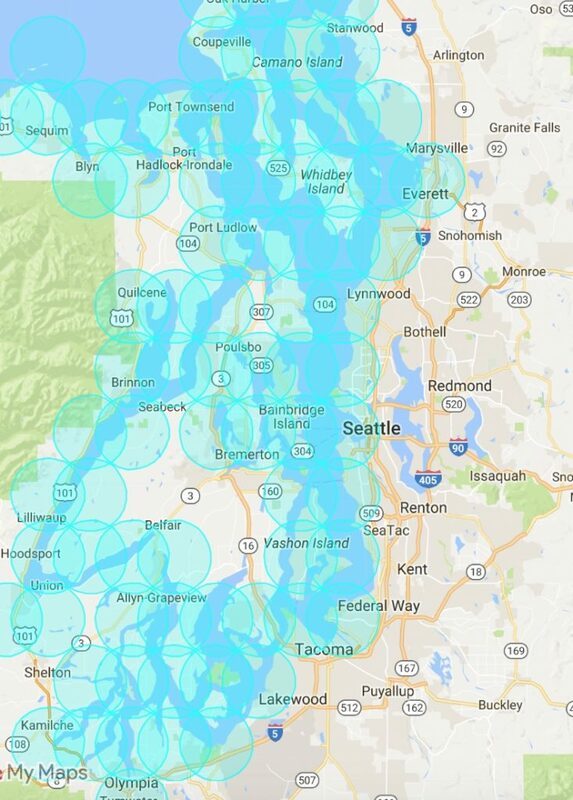 The Shellfish Safety Map, updated daily, will tell you where it is safe to gather shellfish. At the moment, many areas are closed because of paralytic shellfish poison produced by a type of plankton. Unlike Vibrio, PSP cannot be destroyed by cooking. CHILL: Gather shellfish as the tide goes out, so they are not allowed to sit for long in the sun. Put them on ice immediately or get them into a refrigerator. COOK: Cooking at 145 degrees F. for at least 15 seconds should destroy Vibrio bacteria, health officials say. It is not enough to cook them until their shells open. Symptoms of vibriosis include diarrhea, abdominal cramps, nausea, vomiting, headache, fever and chills. The illness usually runs its course in two to three days. For information see “Vibriosis” on the Department of Health’s website. Symptoms of paralytic shellfish poisoning usually begin with tingling of the lips and tongue, progressing to numbness in fingers and toes followed by loss of control over arms and legs and difficulty breathing. Nausea and vomiting may occur. PSP can be a life-threatening condition, so victims should seek medical help immediately. For information, see “Paralytic shellfish poison” on the Department of Health’s website. 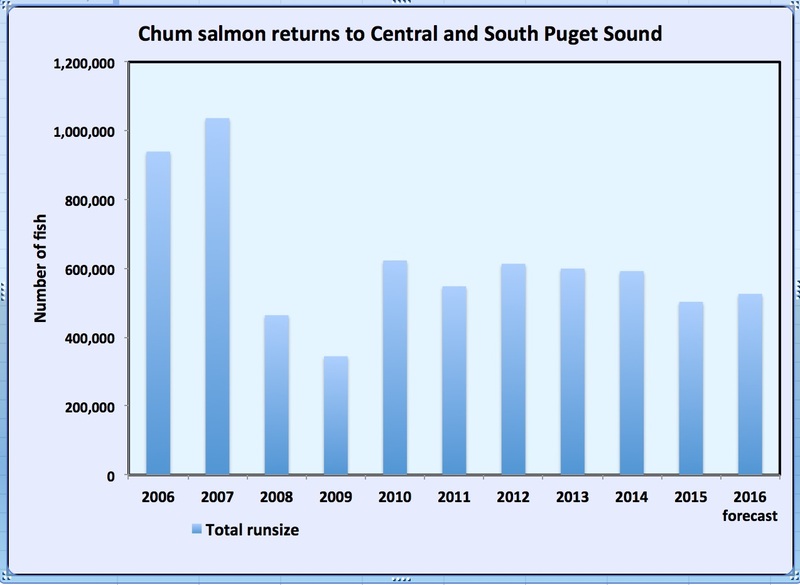 Mike Anderson, chairman of the Skokomish Watershed Action Team, and Thom Johnson, a leading expert in the recovery of Hood Canal summer chum salmon, have been named recipients of this year’s Hood Canal Environmental Awards. 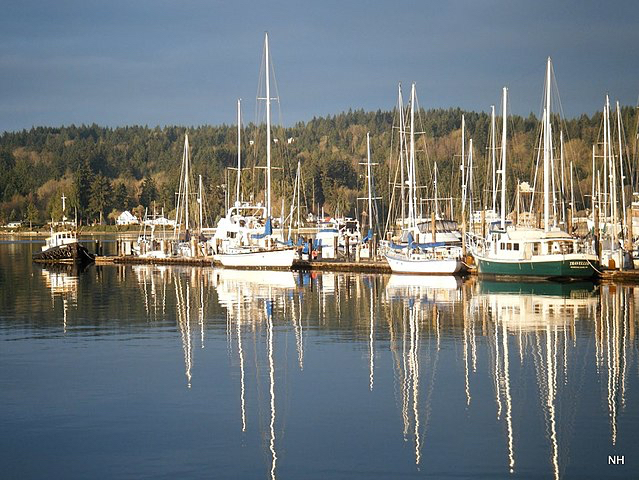 Other recipients of the awards, which are sponsored by Hood Canal Coordinating Council, are Shore Friendly Mason and Shore Friendly Kitsap, two programs that actively enlist waterfront property owners in the protection and restoration of their shorelines. The Encyclopedia of Puget Sound has published the final two parts of a seven-part series on shorelines, bulkheads and nearshore ecosystems. As we researched the series, I was able to interact with a lot of interesting people — from coastal geologists to property owners. 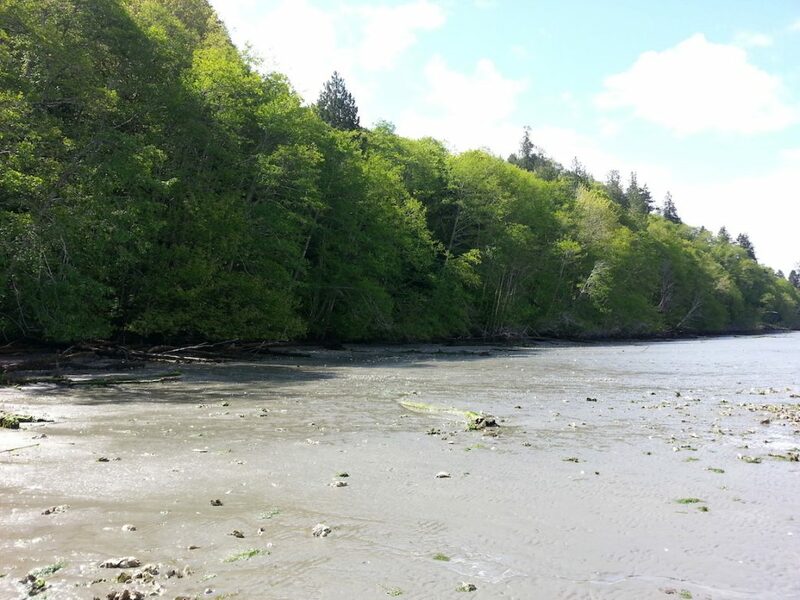 Today’s experts in shoreline ecology credit the late Wolf Bauer with many of the ideas that have become commonplace in shoreline restoration. I was pleased when Washington Sea Grant produced a video tribute to Wolf, who died in January at 103 years old. On an earlier boat ride, I joined up with a group of shoreline property owners who were learning about nearshore ecology and the benefits of bulkhead removal. The boat trip, sponsored by the Shore Friendly Kitsap program, is part of a pilot project to introduce the idea of removing bulkheads. The tour departed from Brownsville and went up through Liberty Bay near Poulsbo, where we observed a mixed assortment of houses and associated shoreline structures. 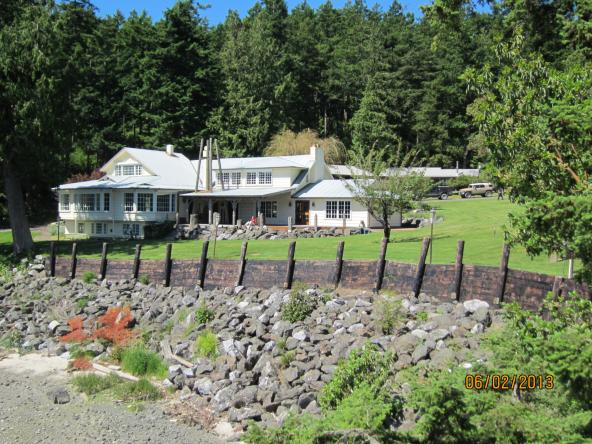 Some of these waterfront homes were protected with massive rock bulkheads; some featured stubby wooden walls; and some were surrounded by vegetation with no bulkhead at all. “Taking this boat ride lets you see what the natural shoreline should look like,” said Lee Derror, a Tracyton resident who has been contemplating whether to remove her bulkhead, built of creosote timbers. Cost of removal is a major obstacle for many property owners — unless their bulkhead is already failing. The other major concern is whether alternative “soft shore” protection will be enough to protect their shoreline from excessive erosion. Jim Brennan, a consulting marine biologist, told the passengers that accommodations were made to protect a historic boathouse on the Powel property by placing large rocks around the foundation. Also, the beach was sloped back to absorb incoming waves. Other than that, the shoreline is expected to eventually look much the way it did in the 1800s, with a reconnected salt marsh providing food and protection for migrating salmon. 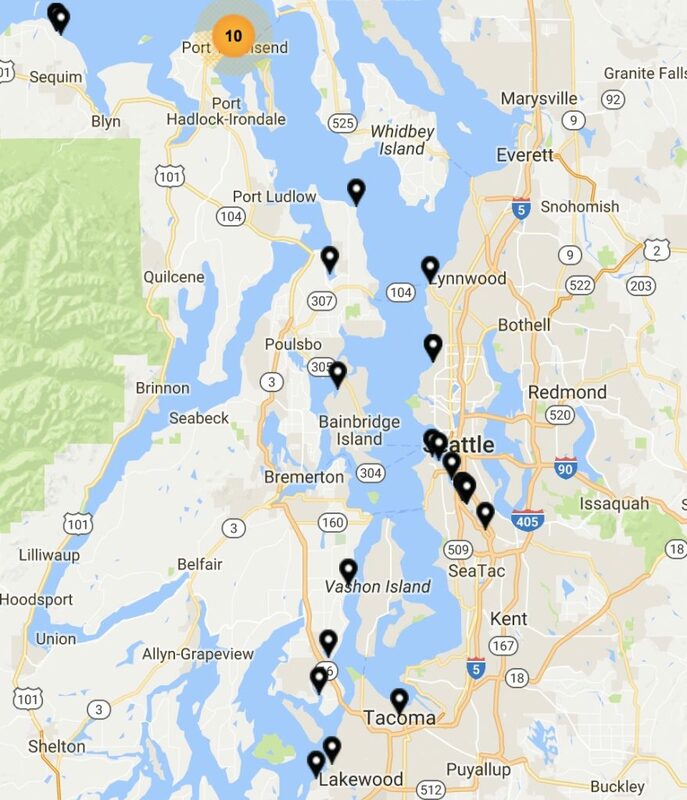 Kitsap’s Shore Friendly pilot project — one of five projects in the Puget Sound region — will help property owners determine if bulkhead removal is right for them. It includes with a visit from a volunteer, followed up by an assessment from an independent geotechnical engineer. The last time I checked, county officials were hoping to offer additional boat rides in the future. 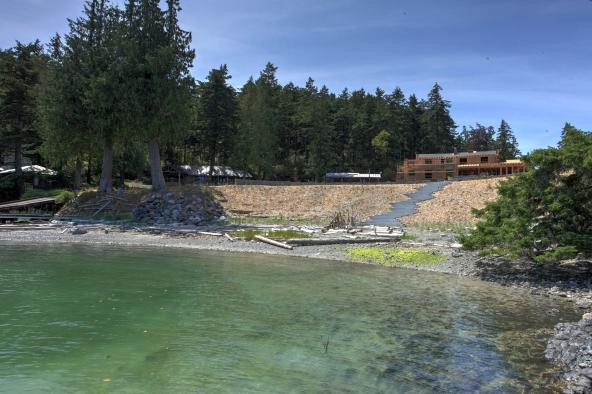 Pilot projects operating in other counties have taken somewhat different approaches, as I described last week in the story “Shoreline Restoration Turns to Private Property Owners.” The second video is from efforts on San Juan Island. Below are the seven shoreline stories written by science writer Eric Scigliano and myself for the Encyclopedia of Puget Sound and the online magazine “Salish Sea Currents.” These are published by the Puget Sound Institute, which is associated with the University of Washington. Funding came from the Environmental Protection Agency.